By extending the Brexit deadline to 31 October, they have prompted headlines of "Halloween Brexit" and fuelled controversy over UK participation in next month's European elections. So what will happen next? I've boiled it down to a short summary - and a longer analysis. 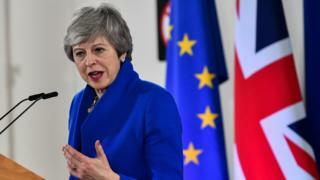 With the clock ticking again, Theresa May wants Parliament to finally agree on the UK's withdrawal from the EU preferably before 23 May, to avoid the UK taking part in elections to the European Parliament. If that fails, there could be a series of votes in Parliament on alternatives to her deal, such as holding a second referendum. But agreement has so far proved elusive, so it's entirely possible the UK will be back where it started at the end of extra time. The granting of six more months looks like an extension of the UK's Brexit crisis, rather than an imminent end to the uncertainty. Can Mrs May survive as prime minister and leader of the governing Conservative Party, after yet another delay to Britain's departure? As time has gone on and tempers have frayed, MPs have, if anything, hardened in their positions rather than become more willing to compromise. So finding agreement won't be easy in the months ahead. Complicating what is undoubtedly the UK's most profound political crisis since World War Two, Brexit is also an issue that provokes powerful divisions not just between the two main parties, Conservative and Labour, but within them too. As to Mrs May's survival, it's hard to say. There is now turmoil in the Conservative Party. Its pro-Brexit wing is furious with Mrs May for the delays to the UK's departure and her attempts to reach out to Labour and the possibility, therefore, of a Brexit that would leave the UK too closely tied to the EU for their tastes. So even if Mrs May were to go, her replacement would face the same problem: how to meet the massive geopolitical challenge of charting Britain's future relationship with the EU, and therefore its place in the world, while faced with a bitterly divided party and Parliament. Mrs May's deal, a different deal, no deal, a government collapse followed by a general election or a second referendum and further delay. But ask any British politician how all this ends and they will tell you they simply don't know. It's perfectly possible that by 31 October they still won't have an answer. 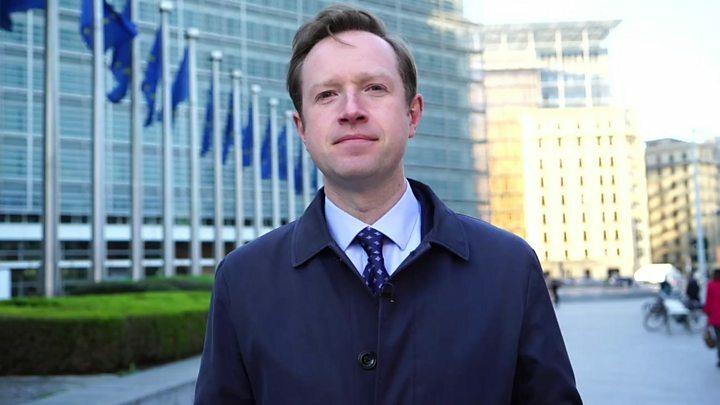 Video Brexit extension: What just happened?